As I noted in an earlier article, Apologies and Reparations, the Senate recently passed a resolution apologizing to African-Americans for slavery and subsequent discrimination. Now there’s a new development. The Senate included wording to the effect that the resolution was not to be used as support for slavery reparations. In order for the apology to become a Joint Resolution, representing the the sense of the entire Congress, it has to be merged with an earlier House apology resolution. However, the House version didn’t say that it was not intended to support reparations. Because of this difference, it looks now like the House and Senate may not be able to reconcile their two versions of the resolution. Both houses of Congress have passed landmark apologies for slavery, but hopes for a historic ceremony commemorating an official joint apology — held under a slave-constructed Capitol dome — are dying on the legislative doorstep. Rep. Steve Cohen (D-Tenn.) — whose national mea culpa resolution passed the House 11 months ago — told POLITICO that efforts to merge that bill with a recently enacted Senate version are foundering after the Senate inserted wording on reparations offensive to African-American House members. 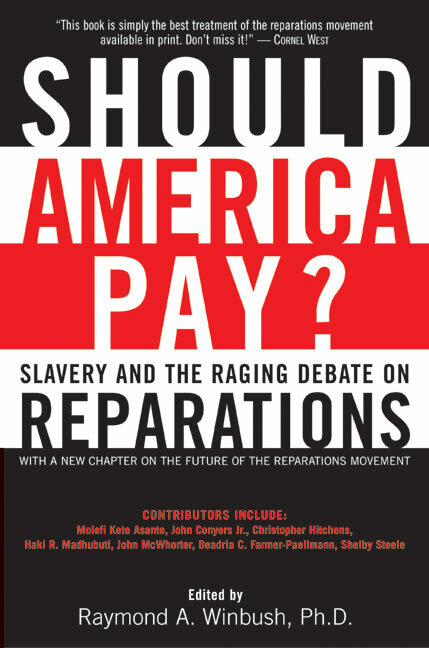 The language prohibits the use of the resolution to justify the issuance of reparation payments to the descendants of slaves. A joint resolution, composed of identical House-Senate versions, would be needed to hold the ceremony long envisioned as a moment of national catharsis by Cohen and other supporters of the measure. It’s also a matter of political survival for the 60-year-old Cohen, who beat 11 primary challengers, most of them black, to win the seat once occupied by Harold Ford Jr. in 2006. We could be forgiven for wondering about our representatives’ priorities, given that Congress is passing huge spending bills without reading them and is faced with a heavy workload for the remainder of this term, including appropriations bills essential for the government to function.